One thing is clear Mirjana has recently been willing to make references to the so-called “Secrets” and she hints that they may not be too far off. Here are 5 points to ponder as we try to understand the meaning of this year’s March 18th special message. 2. “Now is the time to tell my story”. When Mirjana launched her book less than two years ago, she made the statement that it was important to get her story out “Now” presumably without further delay. Her statement seemed to point to a time in the near future when world events would encounter spiritually significant events. 3. Mirjana made a statement that created a lot of interest last year. She said: “I can not divulge much about the secrets but I can say this…Our Lady is planning on changing the world. She did not come to announce our destruction; she came to save us and with her Son she will triumph over evil. 4. Mirjana knows the exact date of when the secrets unfold. “Our Lady spoke about the secrets, clarifying the details of how everything would unfold and preparing me for my role. Then on September 13, 1984, she appeared again and told me the date on which I must give details of the first secrets to the priest. This new knowledge eased my distress and gave me strength. from excerpt of “My Heart Will Triumph”. 5. ‘The secrets contain many blessing but chastisements for the world as well.” None of the seers have revealed the other Medjugorje secrets. It has been said that the secrets contain blessings as well as chastisements for the world. 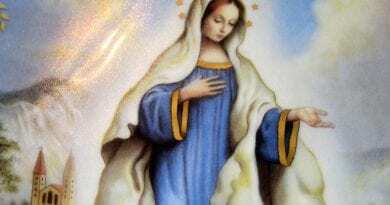 The visionaries warn, that despite Our Lady’s call for prayer, they say that no amount of prayer, or fasting can prevent the secrets from unfolding. The secrets will be reveled to the world in the following manner. 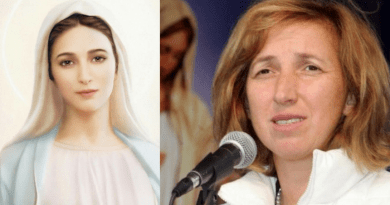 “Ten days before the first secret, Mirjana will reveal what is about to happen to Franciscan priest Father Petar Ljubicic of Medjugorje. “Father Petar Ljubicic will then fast and pray for seven days. Then, three days before the event, Father Petar will make a public announcement as to what is to happen and where. Its very distressing to read that millions have been killed in wars, etc. over the years. At least, 60m+ killed in wars! She attacks an innocent person for nothing and lets the evil ones escape. The innocent one must keep quiet because no one would believe their story and think their mind is unbalanced. What she did is beyond horrific. She is not as pleasant and caring as potrayed from alters around the World. Clergy make statements about her despite having never met her. She is far too stern! She is something else! Spare a thought for the innocent person she tortured who has no criminal record or mental health issues. The innocent person is not dreaming or lying or mental. Wait until the world find out the truth. A human being is in agony after her actions…..that human being wants to scream with the pain she caused but can’t because people could say its a mental issue which it is not. The sad truth is that she tortured that innocent human being for nothing. She exists but is very different to what we were led to believe. I agree that the World is in for a massive shock! Evil exists because mankind sins. 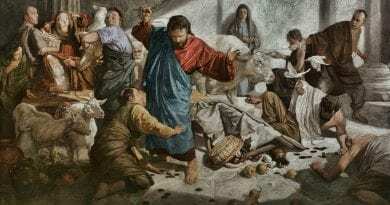 the innocent suffer with the guilty because of sin. simple. the chastisements will happen because of the dreadful sins of humans. nothing more, nothing less. if you want change, pray. none of us prays enough. the other thing we should do is forgive. be a person of forgiveness. 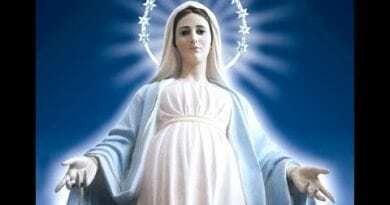 She is 100 percent our loving mother and to be trusted. The issue of why evil happens was already worked out with fee will, and for suffering look no further than the cross. I am personally glad for the special help from heaven. I believe, i pray and i bless my Lord in thanksfull actions for everything good he is doing for us because he love us. Thanks God. Thanks heavenly mother.